#178. 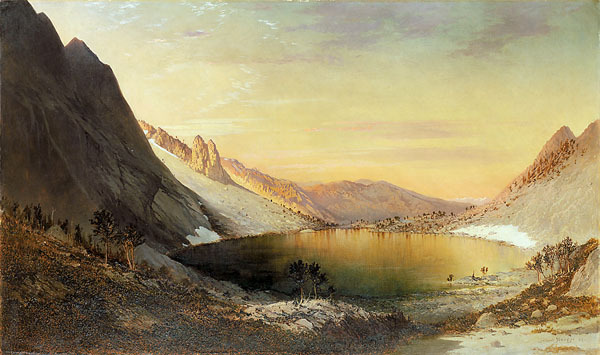 Lake Marian, Humboldt Range, Nevada. 26 x 44, oil on canvas. "Gilbert Munger 1871" lower right. This painting closely matches Plate II in Systematic Geology (see #145). The canvas bears the stamp: "Prepared by, P. DeChaux & Co, Artists Colormen, New York". This and the date suggest the painting is an 1871 New York studio product, based on sketches done out west in 1869-70. 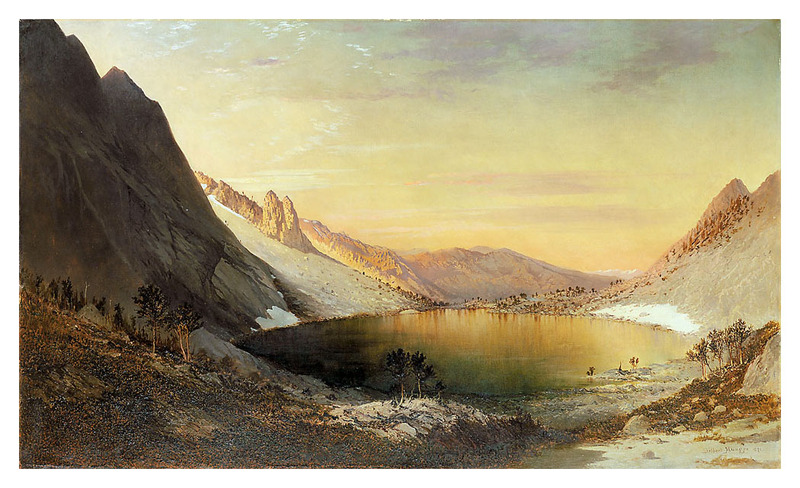 Being exhibition sized, this may be the Lake Marian painting owned and exhibited by King in 1871 at the National Academy of Design in New York. From an antiques store in New Pittsburgh OH to a private collection in 1961; sold by North Point Gallery, San Francisco, in 1999. QFD 13. Image from North Point Gallery transparency.